Freshman (2015-16): Made first appearance in a dual-match against No. 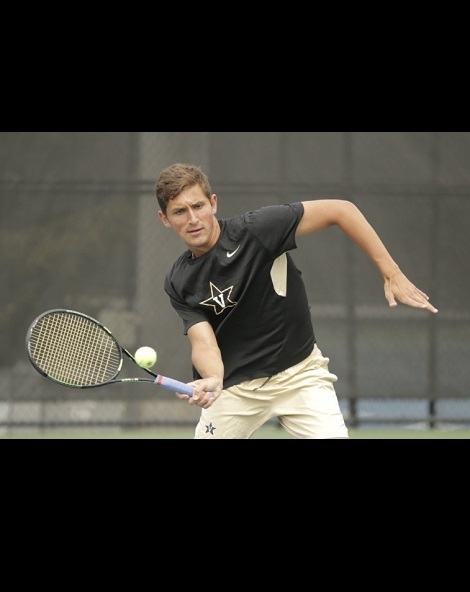 32 Harvard on Feb. 7, 2016… Freshman defeated Duke’s Josh Levine on Feb. 13 for first Commodore win with a 6-2, 6-1 win on court five… Clinched Vanderbilt’s 4-0 sweep over Belmont at No. 5 spot in straight sets… Did not play doubles. High School: Graduated from Lyons Township High School … Came to West End boasting a five-star ranking … Ranked No. 54 in the nation, No. 7 in the Great Lakes region, and No. 4 in the state of Illinois. Coached by Bill Wham at LTHS where his team took second place at state … Took third place individually at state. Personal: Alex Olmedo Ross … Son of David and Diana Ross … Has one younger brother named Gianni who also plays tennis … Began playing tennis at the age of three … Lists Andy Murray as his favorite tennis player, and Lionel Messi as his favorite non-tennis player … Nashville’s music scene is his favorite aspect about the city … In 5-10 years Alex hopes to see himself as a young CEO.